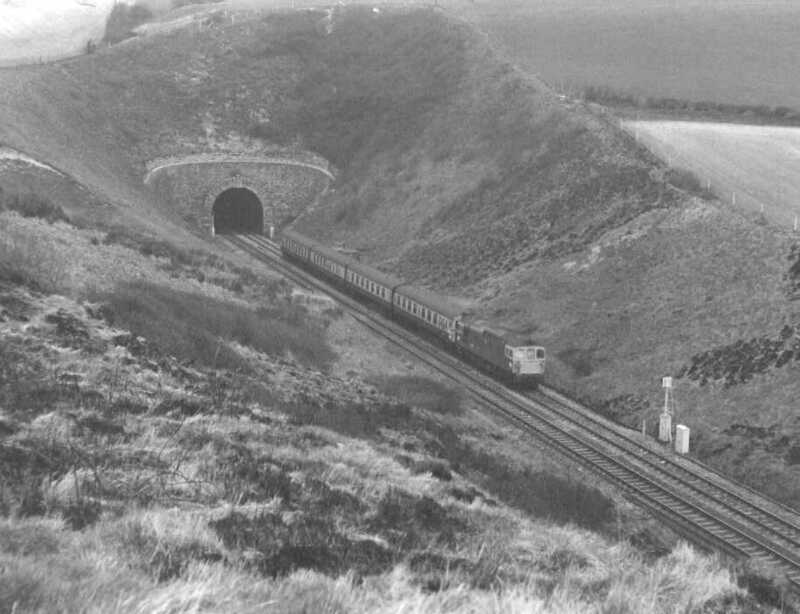 A class 33 comes out of the longer of the 2 Bincombe Tunnels on the run in to Weymouth. This picture was taken off the top of the smaller tunnel. The lengh of track seen here used to be inside the original tunnel, but this portion collapsed and it was converted to a cutting.